SEE 3D TOUR BUTTON. 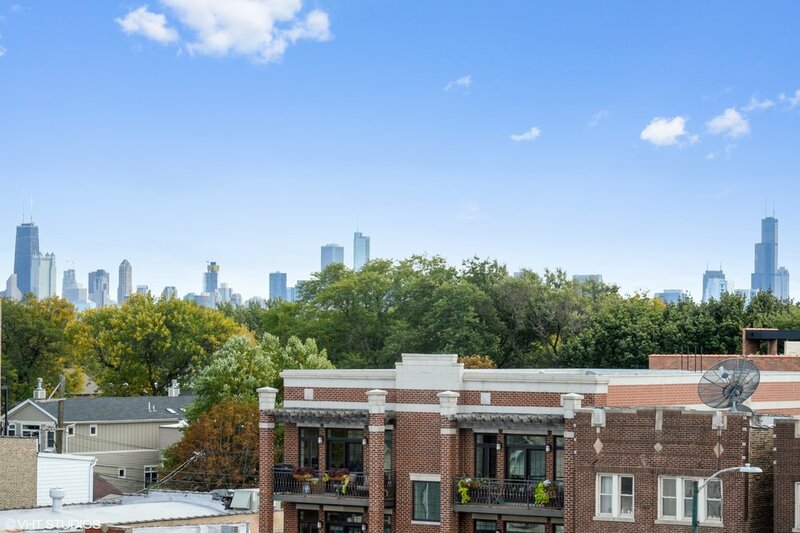 Roscoe Penthouse unit w/Private Roof Deck featuring views of downtown. 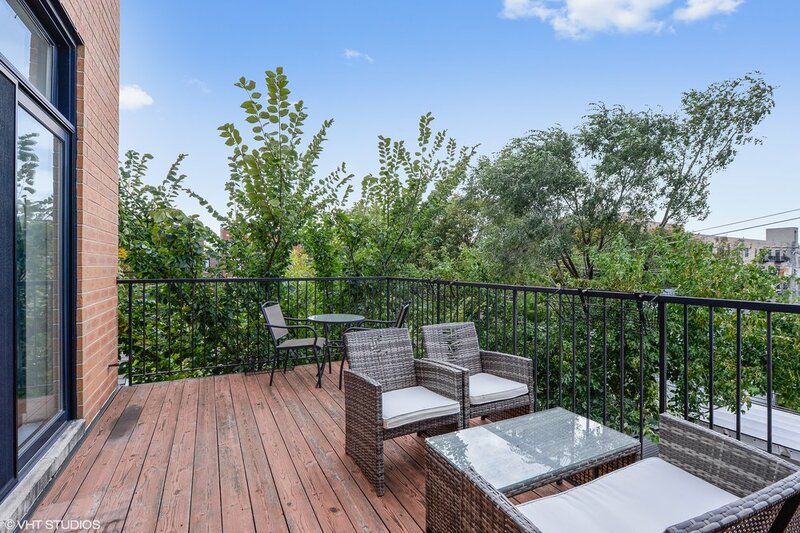 Spacious 2 bed, 2 bath home w/luxury woodwork & finishes. 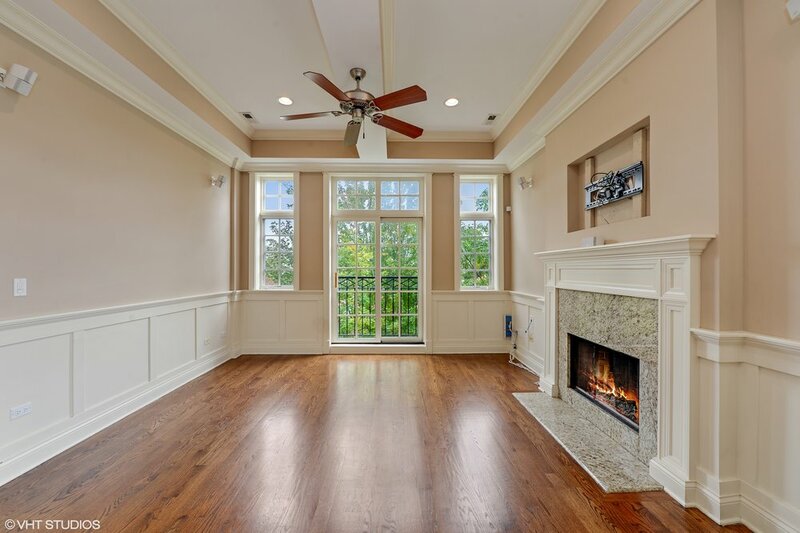 Crown molding & wainscoting throughout, w/11 foot tray ceilings. Hardwood floors in the entire unit. Open concept living & dining spaces. 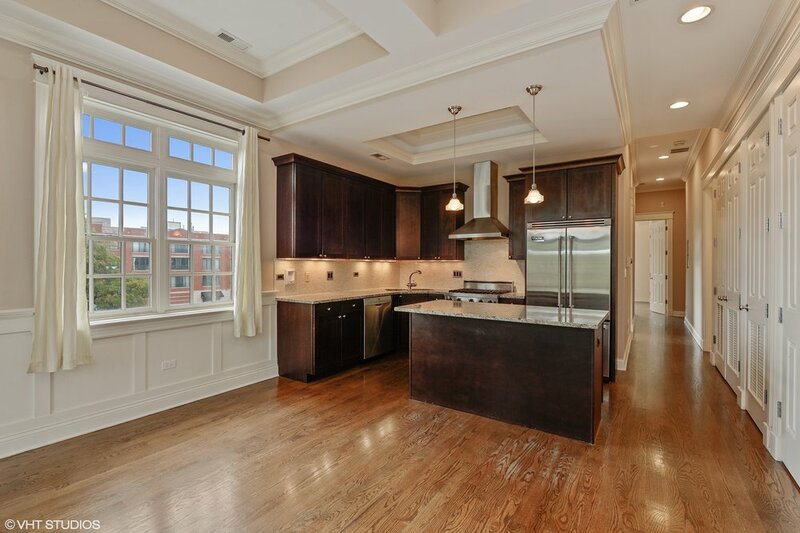 High-end kitchen, w/Viking range, along w/Bosch dishwasher & in-cabinet microwave & island/breakfast bar. Granite counter top, custom back-splash & 42" cabinets complete the kitchen. The second bedroom is spacious w/room for queen sized furniture, while the master en-suite is king sized & features a steam shower, dual vanity, HEATED bathroom floors, & private deck (w/gas) through patio doors. Upstairs is a mini-bar, which opens onto a full-sized private roof deck w/VIEWS OF DOWNTOWN, complete with gas & water hook ups. Parking w/electric car charger & additional storage included in purchase price. Next door to Fellger; close to Hamlin Park, Audubon School district, numerous private day care centers.